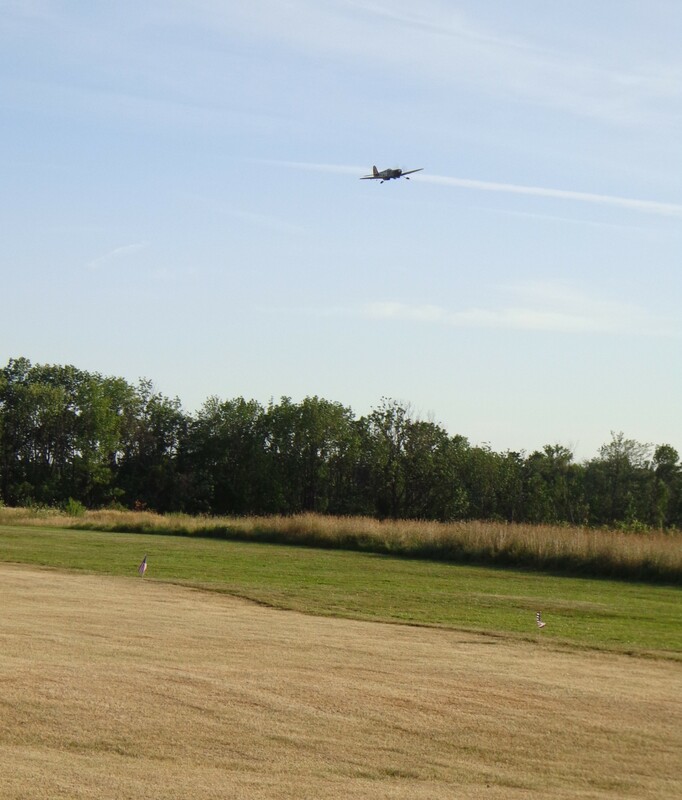 Almost every year our Remote Control Airplane club holds an Air Show. 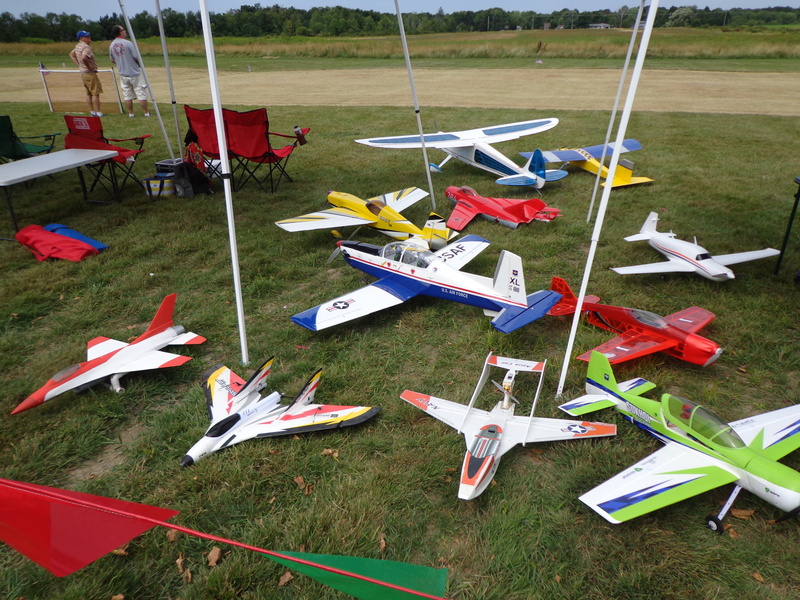 It isn’t as organized as regular air shows that you might have attended. 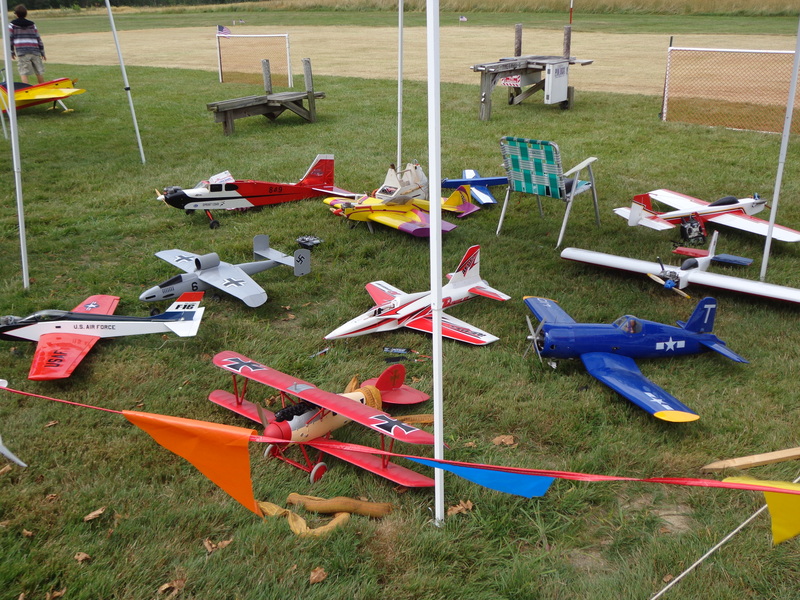 Ours tends to be more of a giant fun fly where guys show up, put their models on display, do a lot of chit-chatting and then perhaps they will toss one into the air. I’ve been told that they used to draw a very large crowd, but in the past few years it has started to dwindle. It seems like there are always a LOT of things going on in the area on the same day as our air show. We ask for a donation at the gate and all of the proceeds goes to Make-A-Wish. 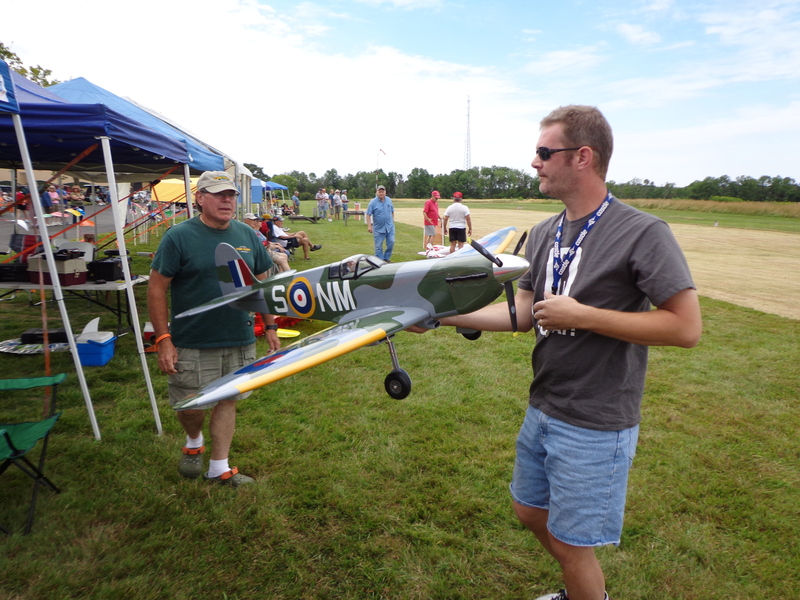 Last year our club ended up actually donating more than what we had made on the air show. Before the air show, though, there is a lot of set up to be done. We hold this event at the local Trades school because they have a lot of parking area and they also have indoor restrooms that we can use. At our field we only have a PortaPotty (which I refuse to use) and very little room for a large crowd. 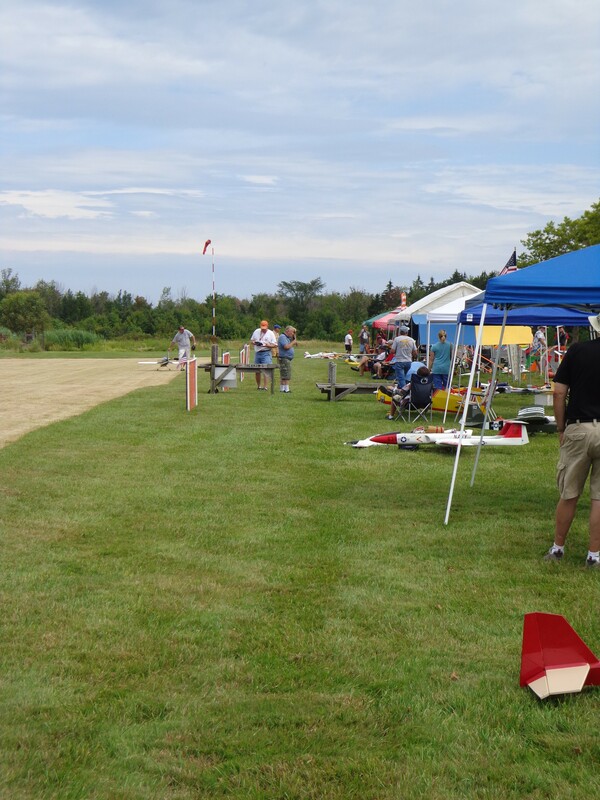 So the few days before the air show guys show up at the school to help mow an air strip into the grass, get tents set up, and bring down the flags that act as a barrier so that the general public can’t just walk right up to the flight line during the show. 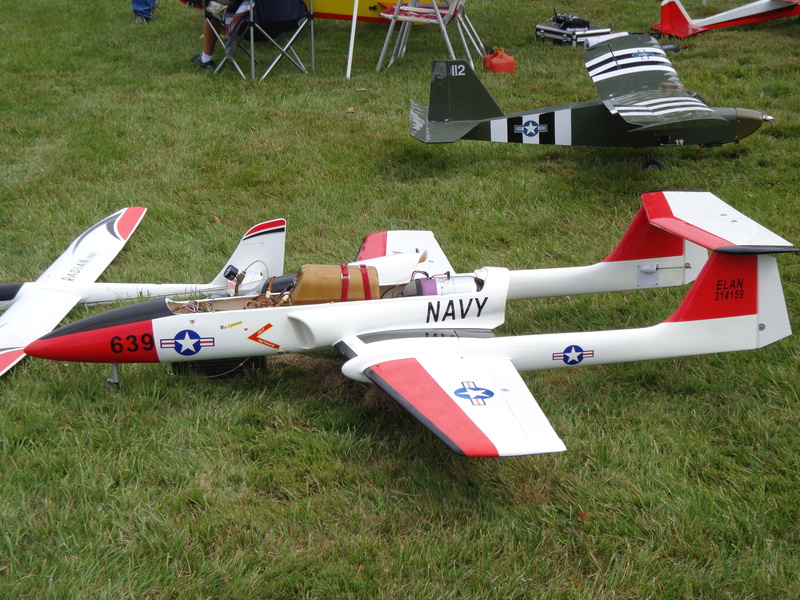 If you’ve never been around RC planes you can’t really appreciate the damage that they can do. After set up is complete that’s when the fun begins. There is usually a decently sized group of guys who bring some models up to toss around the night before. Since they only fly there a few times a year they like to brush up on their flying skills before they are in front of the public. 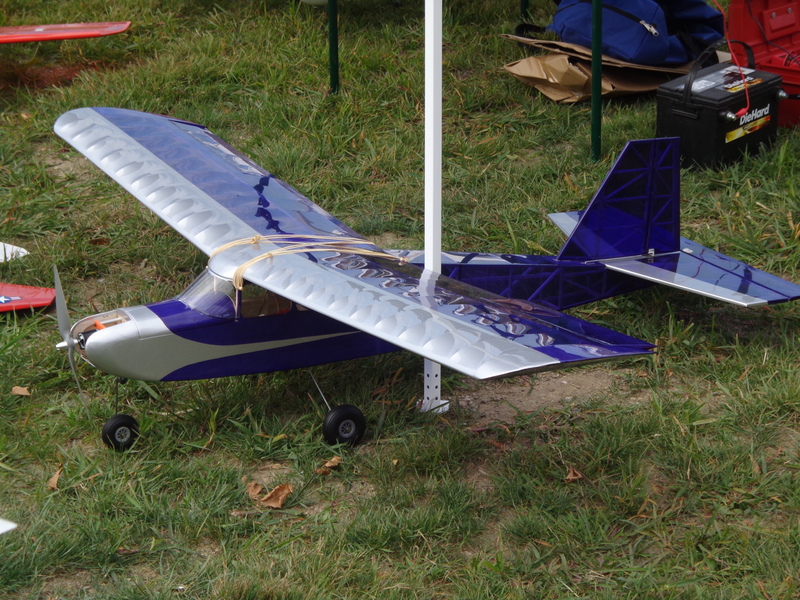 It’s also a good time to maiden any new models that you want to show off at the show. 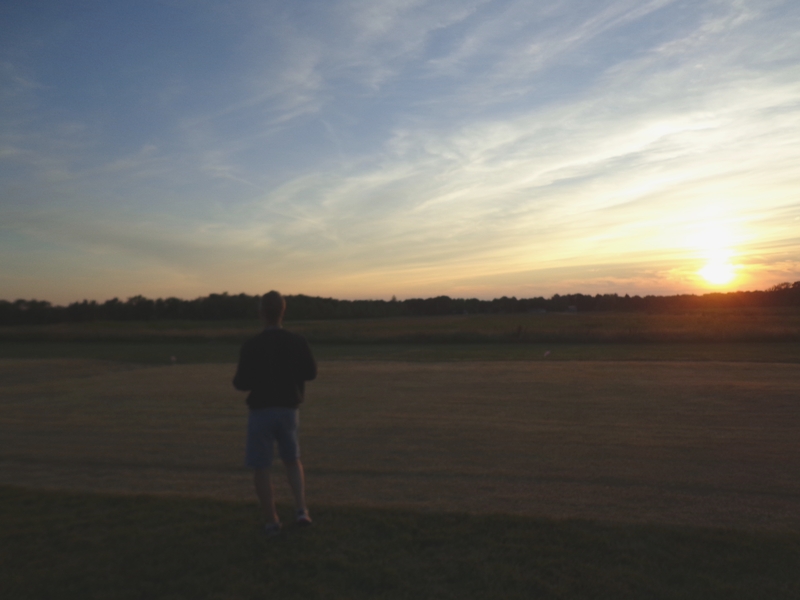 This year Jay actually flew other guys’ planes more than he flew his own. He did three or four maidens. A few regular flights, and whatever other advice they might have needed from him. He is our club’s foremost authority on electric power systems and electric set-ups in general. In fact, the Spitfire in this picture was one that Jay had helped our friend Sam build two winters ago. Then it sat in our basement for a year before Jay finally finished it up for Sam and gave it to him this past spring. Yes, it was ready to go this past spring and it just was maidened this past weekend. And Jay was the one to maiden it. In fact, Jay has put four or five flights on this plane. He loves the way it flies. The activities will go on into dark on the night before the show. 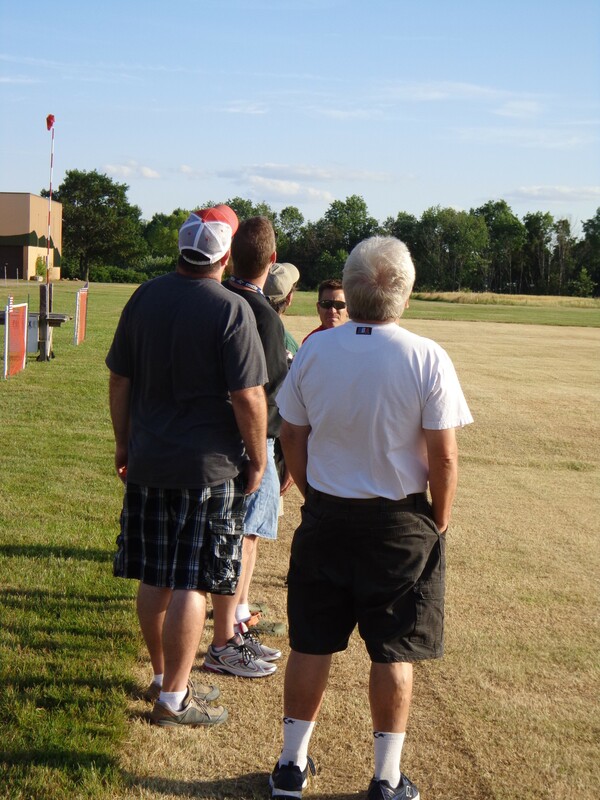 There’s a lot of conversation, refreshments, and once in a while one of the guys will actually fly something. 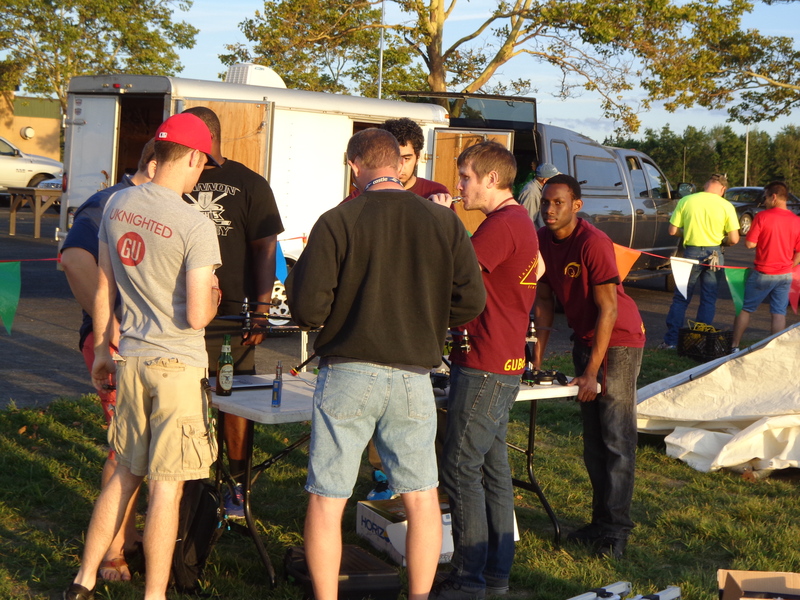 This year there was a group of college students who built an octocopter and were going to demonstrate it at the air show. 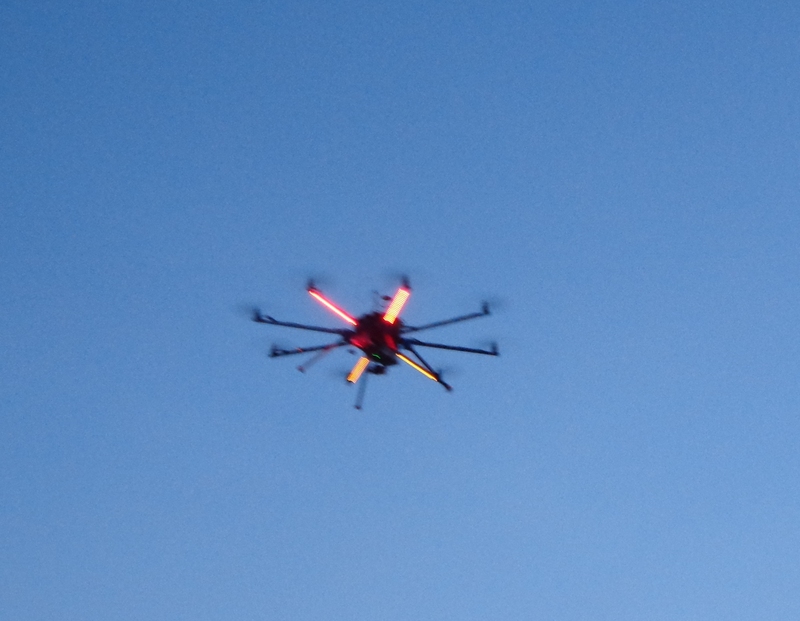 With all of the talk of drones in the news lately we thought that people might like to see one close up. This one was MUCH bigger than what you see being shot down in Kentucky or causing issues around airports (idiots! ), but it helps to take a little bit of the fear away. 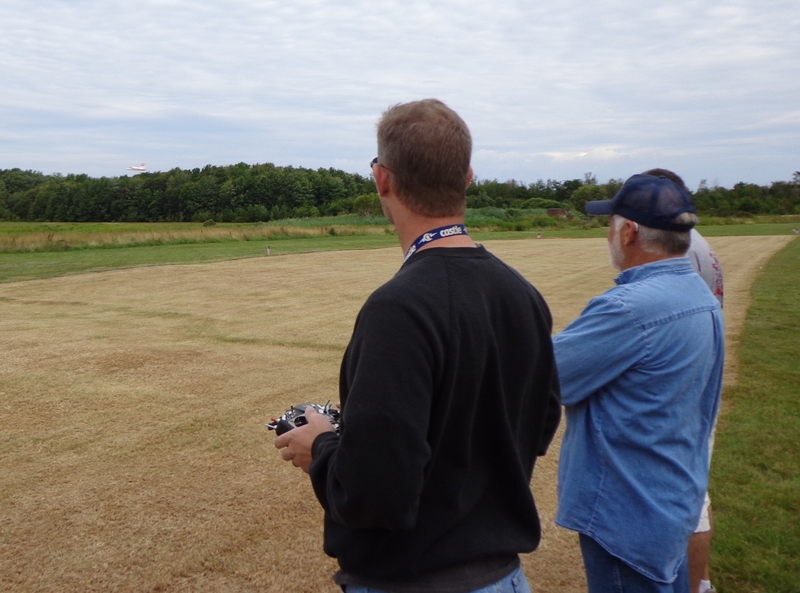 Oh, and Jay is flying the octocopter for the guys in this picture, too. 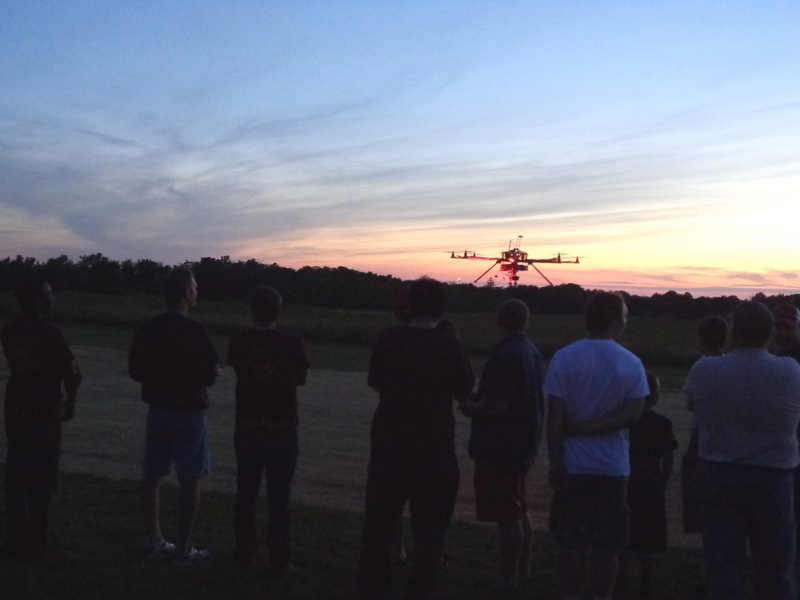 A group of college students who are majoring in electronics, computer programming, robotics, and information systems… having to wait until a foundry supervisor (without a college education) is free so that he can program their radio to fly the octocopter. Once Jay had programmed their radio for them they got it up in the air for a little bit. Actually, Jay put it up in the air for them for a little bit. Only a couple of them are confident enough to even attempt to try flying it. They are good kids, though. Very polite. The morning of the air show came much too quickly, but we got both cars packed up and headed out. Once Jay had unpacked the car he was asked to maiden another guy’s EDF jet. 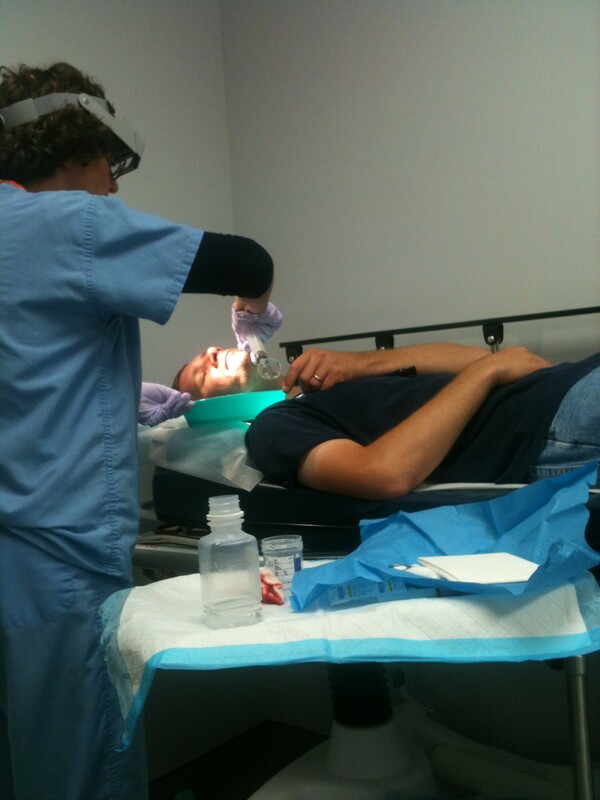 Jay did this, helped to get it trimmed out, and then gave the guy a few pointers for when he goes to fly it. Only eight of these are Jay’s. The kid next to us owns four of these, although one of them used to be Jay’s. Kenny is a good kid. He just needs a little more flight time under his neck strap. Speaking of Kenny… here’s the Seniorita that Jay built for him. Jay did a nice job, didn’t he? 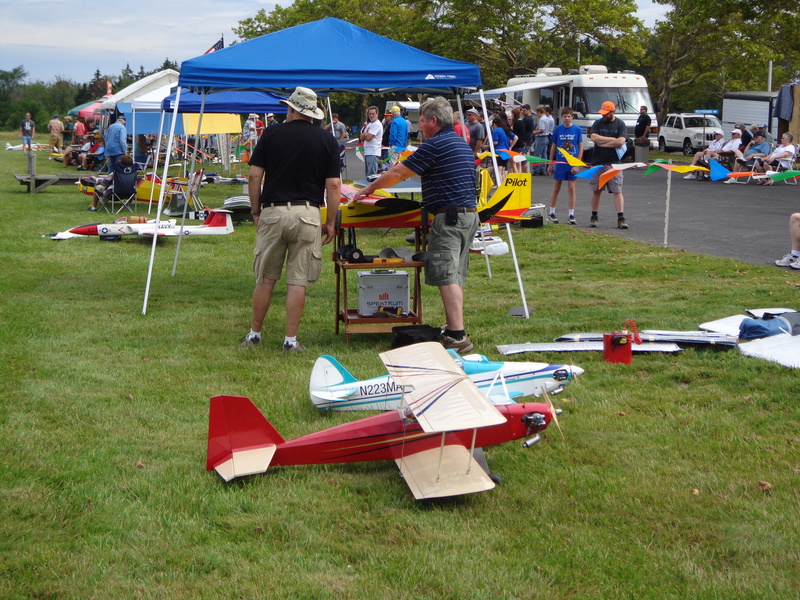 There were all different kinds of planes at the air show…. Every year one of our members brings a turbine jet to demonstrate for the crowd. We can’t fly turbines at our field, but there’s enough room at the school that it’s not an issue. These aren’t cheap, either. Jay guesses that this particular jet would cost around $15,000. Unfortunately, the guy ended up taking it home in pieces. Something happened, it got away from him and went in. Luckily there wasn’t any fire to put out, but the entire thing was destroyed. I have told Jay that turbines are one thing that he is NOT allowed to get into. Not only would we have to drive an hour away just for him to fly them, but they are too much of an investment. He is okay with that. There are enough makes and models out there to keep Jay busy for quite a while. Especially if he keeps picking up kits that he actually has to build. Since he enjoys doing that I’m not too worried. Besides, with the other guys in the club asking him to fly their planes he shouldn’t ever get bored! 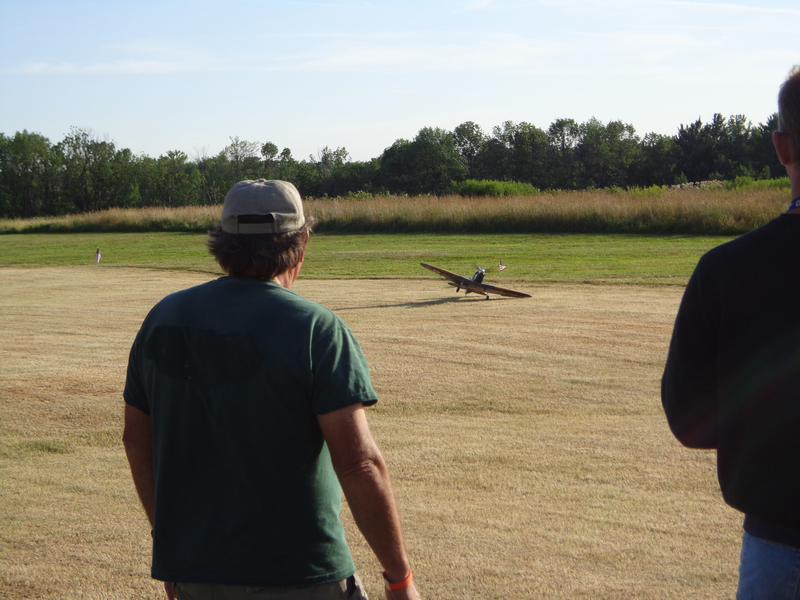 All he has to do is tell Sam to bring the Spitfire up to the field and he gets to fly it all he wants. His Rascal might feel a little left out, though. 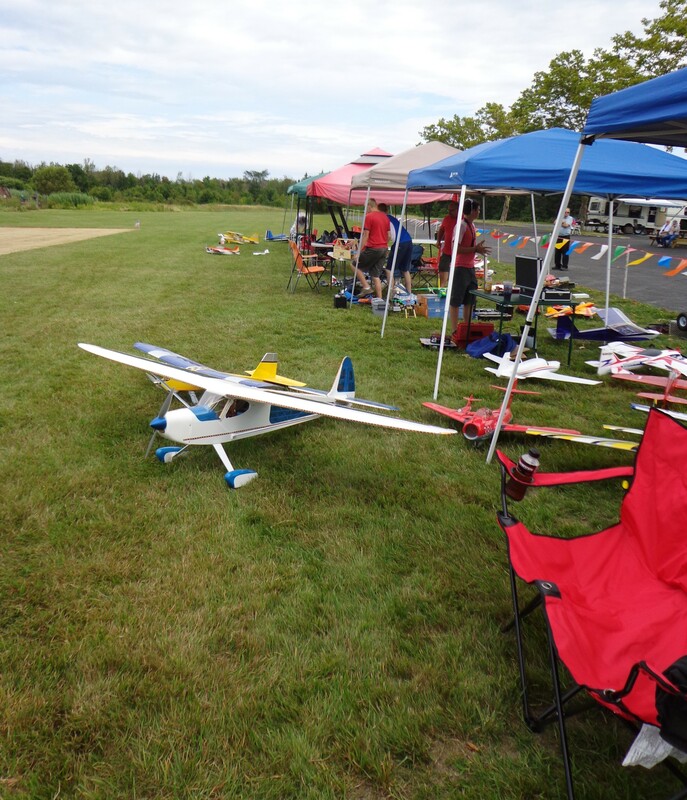 This entry was posted in Air Show, EDF, Fun Fly, Helicopters, Jets, RC Planes and tagged Air Show, EDF, Fun Fly, Helicopters, Jets, Multirotor, R/C, RC Airplanes. Bookmark the permalink.